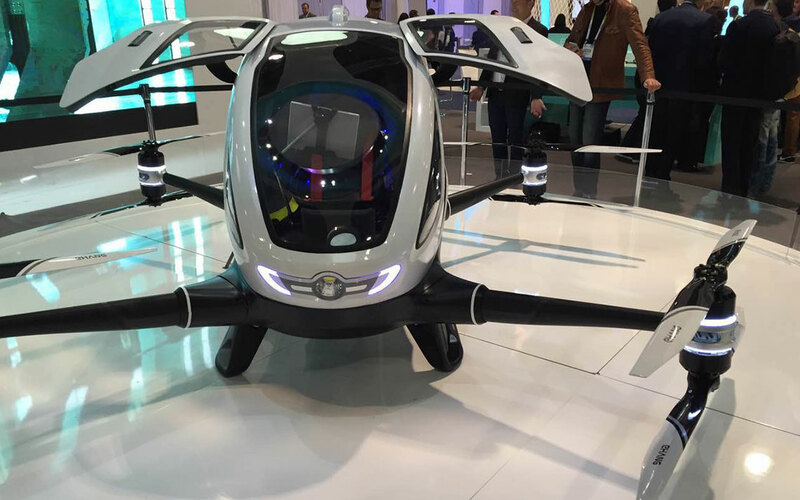 World’s first electric human-size autonomous aerial vehicle (AAV), EHang184, was unveiled at CES 2016 at Las Vegas. EHang184 is capable of carrying one passenger up to 220 pounds for up to 23 minutes at sea level with its 14.4-kWh battery pack, which takes four hours in triple mode or two hours in fast charge to a full charge. The whole vehicle weights 440 lb (200 kg), can carry up to 264 lb (120 kg), has a maximum speed of 62 mph (100 km/h) and can reach a maximum altitude of 11,480 ft (3,499 m). 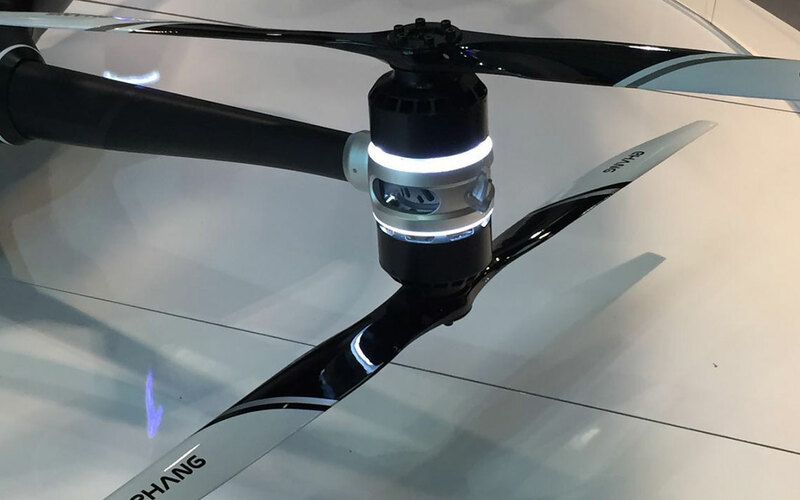 It features a carbon fiber/epoxy composite body and an aerial aluminum alloy frame. Eight motors with eight carbon fiber propellers divided in four group of two, each pair mounted on the top and bottom of one of four foldable arms. A 12-inch touchscreen tablet display is the main instrument in the cockpit which allows the passenger to select the flight destination. The drone has gull-wing doors and a trunk for small luggage. Safety is key on EHang184 with its fail-safe system. Even with one propeller malfunctions, it can still land in the nearest possible area safely. EHang also claims a 24-7 flight control center monitors each flight and can intervene in emergency situations. EHang184 is a great start to the future of autonomous aviation, but it will require the Government, FAA and the commercial manufacturers working together to set the future in the right direction.